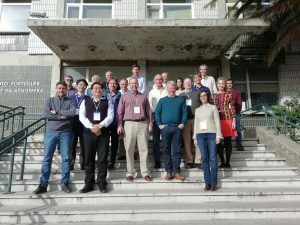 The 2018 GEWEX Data and Analysis Panel (GDAP) meeting was held at the Instituto Português do Mar e da Atmosfera (IPMA) in Lisboa, Portugal from 26-29 November 2018. Dr. Isabel Trigo hosted the meeting. During the first three days participants discussed the classic GDAP agenda, and the morning of Thursday, 29 November was open to GDAP Panel members only.